HF Bloggers Round Table Wrap Up plus one last Guest Author Robin Maxwell: Anne Boleyn and 2 Book Giveaway! I am so excited to wrap up this Historical Fiction Book Bloggers Round Table Week with posts on Anne Boleyn! Michelle Moran's Cleopatra's Daughter; Michelle Moran's The Heretic Queen; James Patterson's King Tut; Kathy Lynn Emerson's Face Down in the Marrow-Bone Pie; Robert Hicks' A Separate Country, and todays giveaway for two of Robin Maxwell's books on Anne Boleyn. There are two other giveaways that started before HF Bloggers Round Table week that are still going on, such as the wonderful book by Cathy Marie Buchanan, The Day The Falls Stood Still, and promotion for a book of your choice from those listed here. Visit the other Historical Fiction Bloggers Round Table Charter Members Blogs to see what they are offering this week, such as a Signed Philippa Gregory novel, Karen Essex's Leonardo's Swans, and Royal Panoply, and there is a giveaway at Royal Intrigue as well.. and Lizzy has added a Giveaway for The Boleyn Inheritance at Historically Obsessed. Susie from All Things Royal has also joined the fun and has some UNIQUE giveaways, go visit Susie! 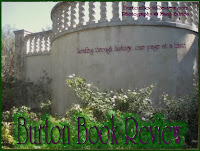 -At Hist-Fic Chick there is a Guest Post on Elizabeth I & Robert Dudley and Interview of Amy from Passages to the Past. -At The Maiden's Court you'll find an Interview with Arleigh of Historical-Fiction.com and a Fabulous Guest post from Arleigh on Eleanor of Aquitaine: Mother of a Dynasty. -At Passages to The Past, Amy is hosting Ms Lucy from Enchanted by Josephine with Guest Post The Royal Granddaughter…another Josephine and Interview. -At Historical Fiction.com, Arleigh is hosting Lizzy from Historically Obsessed with a guest post on Catherine Howard, the young naive wife of Henry VIII, and an interview. 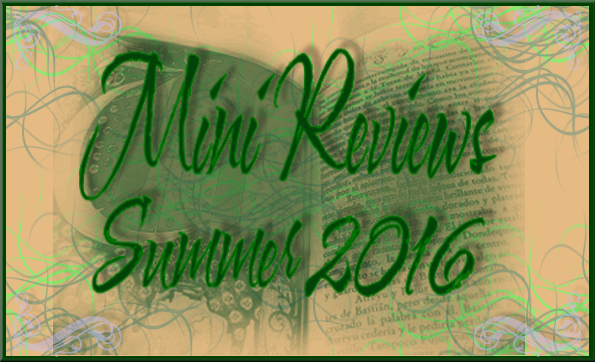 -At The Burton Review, I've hosted Allie from Hist-Fic Chick, with a fabulous interview and a guest post on Mary Queen of Scots. -At Enchanted By Josephine, Ms. Lucy hosted Royal Heiress of the Day: Heather from the Maiden’s Court on her guest post on The Death of Cleopatra and an interview. -FINALLY.. today at Historically Obsessed it is my turn for the guest post and interview! Today you can find me at Historically Obsessed talking about the famous Anne Boleyn and my quest for some good historical fiction regarding this famous royal figure. 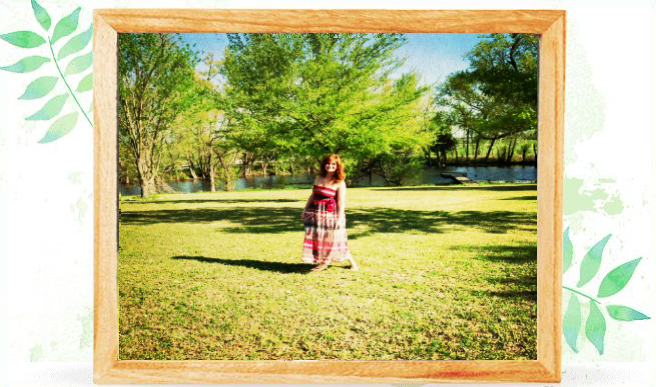 Please stop by and say hello to my over at Lizzy's blog at Historically Obsessed! 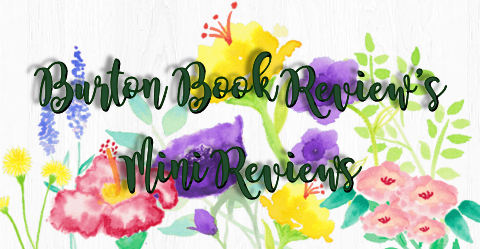 Check out Enchanted by Josephine's blog as new for Friday a Book Review of The Raucous Royals + Sophia's Corner with her review & Giveaway of author-Signed copy (US, Canada only). Whew, are you tired yet?! 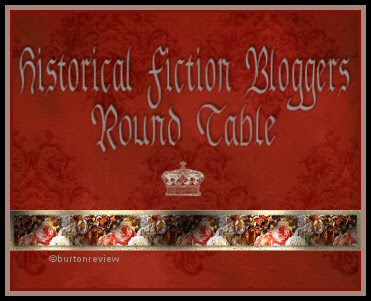 This is the LAST and FINAL post you'll see for this Fantastic First Time EVER event of the Historic Fiction Bloggers Round Table Event!! And a fabulous last post it is, because we've got Robin Maxwell here! 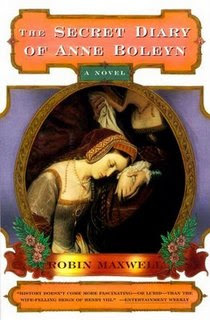 I have another wonderful author to present, Robin Maxwell, as she shares with us a guest post on Anne Boleyn which she kindly allowed me to reprint a Huffington Post article she did last year, and she is sponsoring a FANTABULOUS TWO BOOK Giveaway below! Let me say this up front: Anne Boleyn was no angel. From her tenderest years she was weaned on scandal and intrigue, schooled in Machiavellian politics, and came of age in the licentious court of Francois I. Unlike her sweet, malleable sister Mary, Anne – the Boleyn girl who really mattered – had a great head on her shoulders. That, sadly, was the foulest crime a woman in the sixteenth century could commit, and reason enough for the all-male establishment to ensure she was parted from it. Here was a girl who had the temerity to fight for a marriage not of convenience but love with her first sweetheart, Henry Percy, and to spurn the sexual advances of an already-married man, Henry VIII. What nerve to demand she be wed before she gave birth to their children! Who did she think she was helping bring the Protestant Reformation to England? She ought to be ashamed that her only offspring was history’s favorite queen – Elizabeth I. For daring to survive and thrive in one of the bloodiest, back-stabbingest cultures of all time, Anne Boleyn acquired a reputation as a (gasp!) ambitious woman, a scheming, traitorous, marriage-wrecking, child-stealing whore. Oh, and let us not forget…witch. It was understandable that Renaissance spin doctors might be inclined to do the bidding of their half-mad, ax-happy boss, King Henry. But what excuse have modern writers for perpetuating the scurrilous rumors and trumped-up charges that insured one of history’s most remarkable women end her life on the wrong end of a sword? Maybe the answer is that every good story needs a villain. And who better to target for that role than a beautiful, too-big-for-her-britches woman that ends up with her head on the chopping block? I just happen to see it another way. As far as I’m concerned, Anne Boleyn was the First Feminist. The first woman with the strength and convictions to face-down the London Boys Club and have her own way. At least for a while. 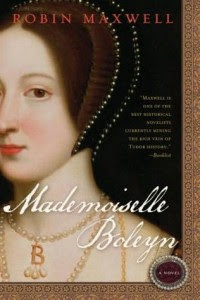 In my book, Anne Boleyn rocks! There will be One Lucky Winner for both of these books! 1. ONE ENTRY= Since this is Book Blogger Appreciation Week, Follow this Blog publicly, you must be a Book Blogger & Reviewer, and comment with your Blog URL AND Email Address with a comment other than Enter Me. You can say something nice to Robin, or tell me how awesome this HF Bloggers Round Table was.. etc. 2. Add Extra Entries For Each (max of 5 total entries through this way): blog post, Sidebar post, tweet @BurtonReview, or Facebook Share spotlighting this post & giveaway. You must share that link within a comment so that I can verify it is done properly. 3. For an extra special ADDITIONAL +3 Entries: Visit my guest post and interview at Historically Obsessed, which posts today and comment over there, then comment over here telling me you did this. :) Fun stuff all around. Entries must be received by midnight September 26th, the one winner will be announced and emailed the next day and you have two days to respond. Thanks for entering, thanks so very much to Robin sponsoring this awesome giveaway, and good luck to those who enter! Thanks to all those who participated in the Round Table, it has been fantastic wonderful fun!